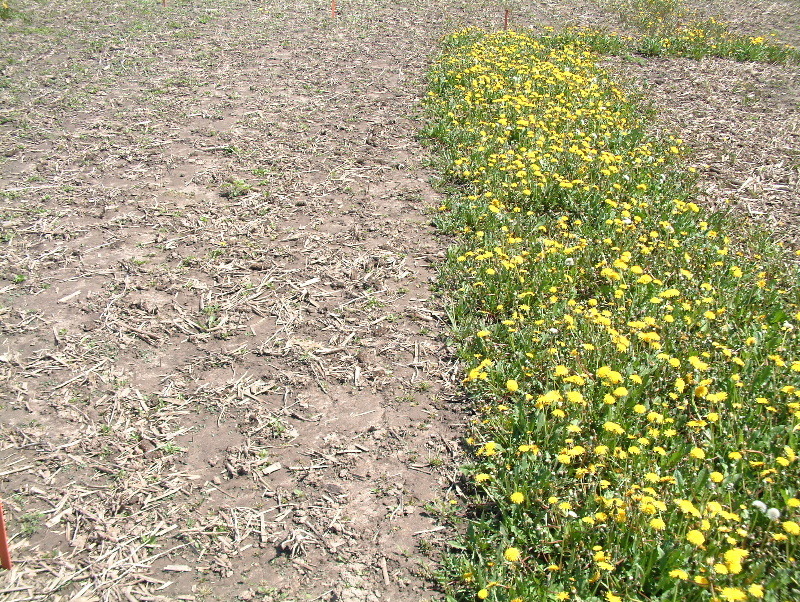 Many farmers have witnessed the value in applying herbicides in the fall to perennial weeds, especially perennial sow-thistle and dandelion (Figure 1). Often they will see a reduction in their population the next year as well as a delay in their shoot emergence. 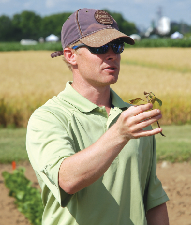 This allows the planted crop to have a competitive advantage over those perennial weeds. Unfortunately weather conditions around the time of application can be quite variable and can influence a herbicide’s effectiveness. Let’s go through four “top tips” to make the most of this application window. 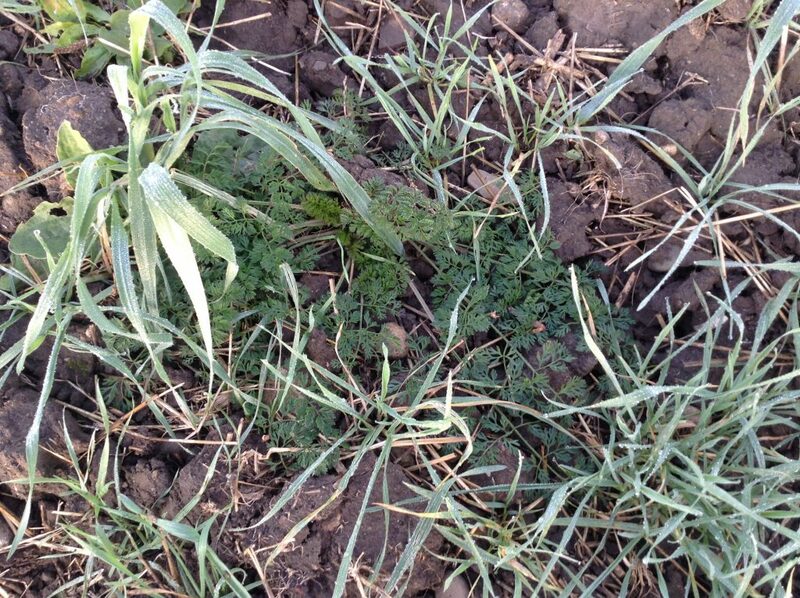 1 – Choose the most effective products, rate and tank-mixes based on the perennial weed that you are targeting. Table 1 outlines what public researchers in Ontario have found to be most effective at controlling perennial plants in the fall. Table 1. Best herbicide option for each targeted perennial plant based on research conducted by the University of Guelph Department of Plant Agriculture. 2 – Apply when air temperatures are above 8˚C for a minimum of two hours after application. This is best accomplished by applying during late morning or mid-day so that the targeted plant is taking up glyphosate during the heat of the day. 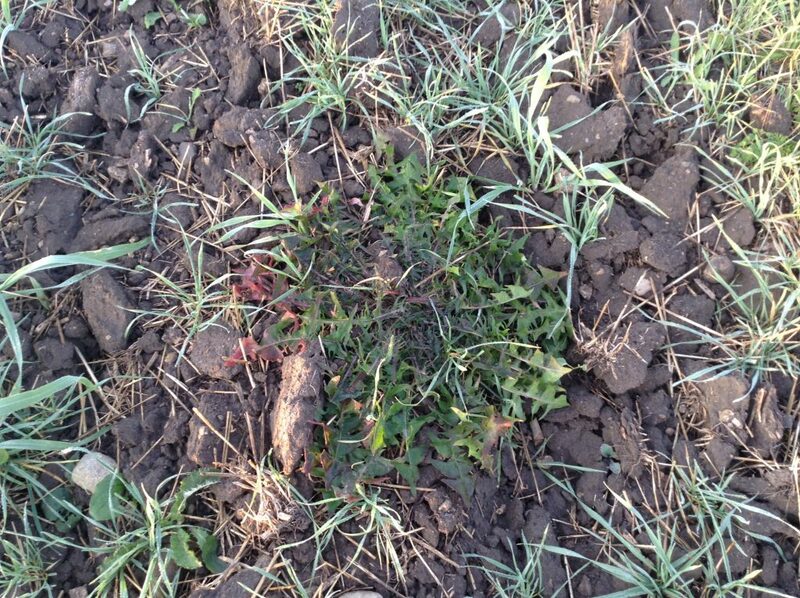 3 – After a frost event, wait 2-3 days before evaluating weed growth and if the target plants look fine and air temperatures are above 8˚C then resume applications. For example, milkweed is very sensitive to frost. 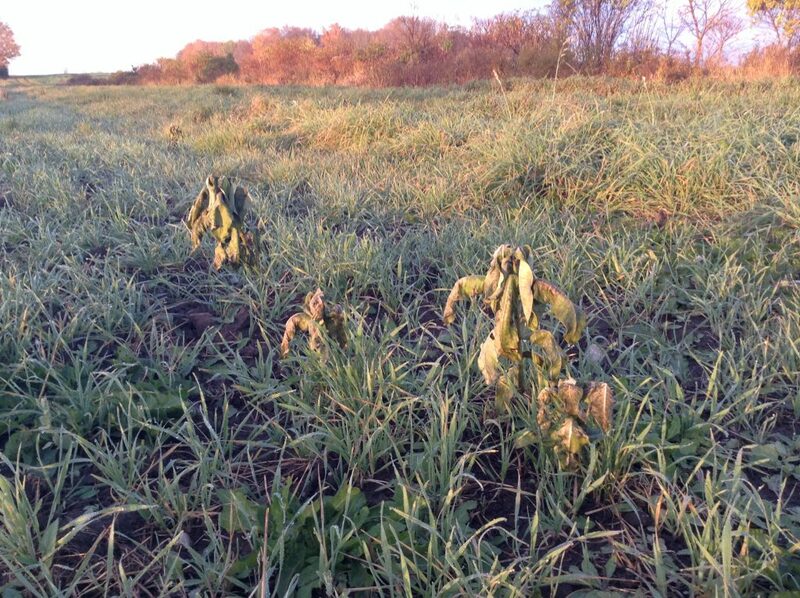 Figure 2 shows a milkweed plant 3 days after an evening where the air temperature reached a low of -3˚C. 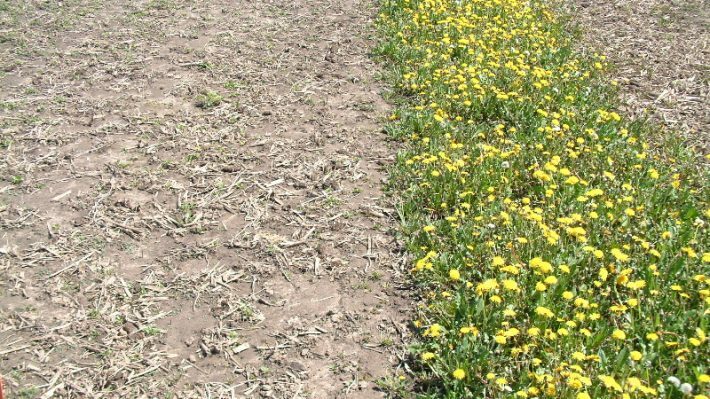 It would not make sense to apply glyphosate on a weed species in that state since the leaves are unlikely to absorb any herbicide. Alternatively. dandelion and wild carrot were not affected by the same frost event (figure 3 and 4) and one could resume fall applications to those species based on the condition of their leaves. Dandelion unharmed 3 days after a frost event. Wild carrot unharmed 3 days after a frost event. 4 – Wait a minimum of 72 hours after application to perennial weeds if you want to till the soil. The longer that you can wait after application before making a tillage pass, the more the herbicide will translocate within the plant and do a more effective job controlling the species.